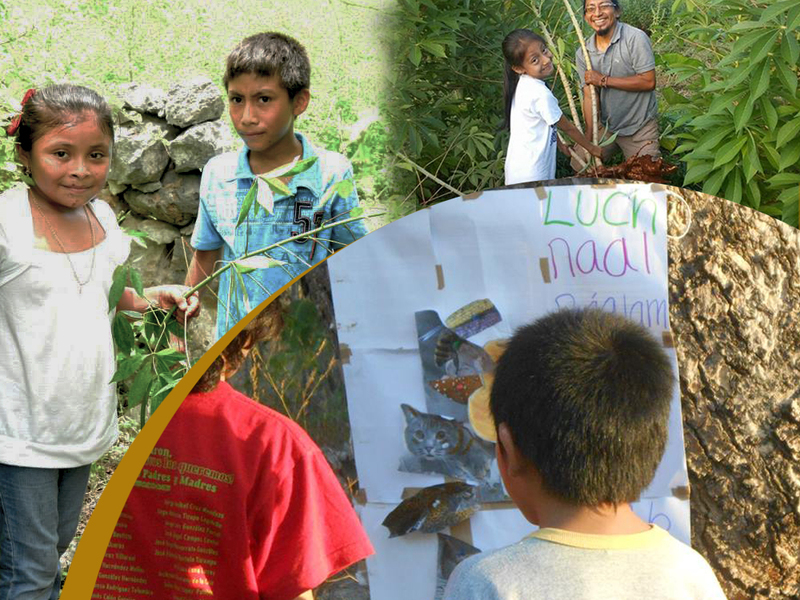 This important project aims to rescue and revalue language and ancestral wisdom for the local Mayan children, youth, as well as for the entire community of Sanahcat in Yucatán, Mexico. Through sacred ceremonies, workshops on Mayan identity and language, the creation of a Mayan sowing calendar, selection of native seeds, and workshops on all aspects of traditional and agro-ecological Mayan agriculture (fertilization, irrigation, cultivation, harvesting), young people and children are learning and revitalizing their ancestral traditions through direct experience. This project culminates in a ceremony of activities, including a photography and video exhibit of the entire work cycle. The long-term vision of this project is the creation of an educational space for the rescue and honoring of traditional agriculture and Mayan spirituality.